What a cool project. It’s a woven glass bowl. I’ve always wanted to make one of these. Well, at least since I’ve been fusing glass. Over at Clearwater Glass they’ve got the tutorial so now you too can make too. Check it out. 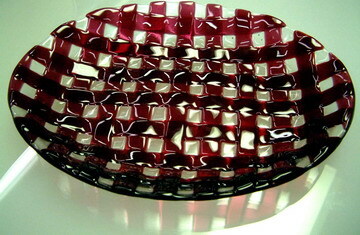 And there’s another site that gets into more in depth glass weaving. It’s so cool. 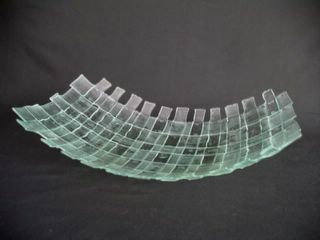 Slumping the glass into curved pieces first, then slipping straight pieces in between to actually weave the glass together. 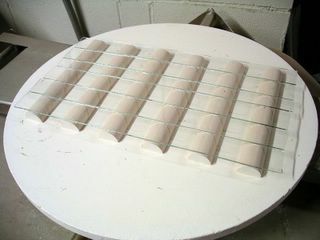 Check out that blog…Beating a Dead Horse also known as howtoweaveglass. This is the first step. Check out the finished piece.